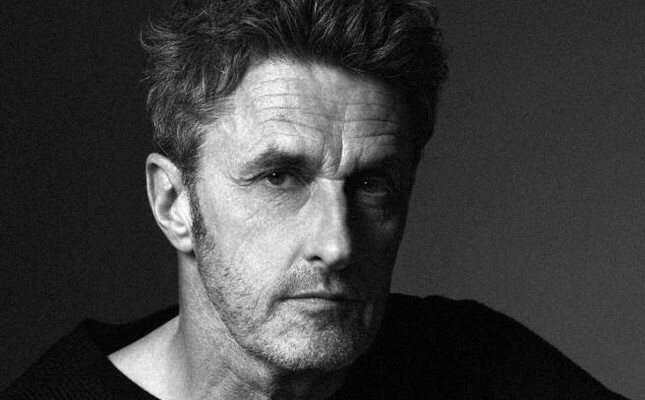 Pawel Pawlikowski gave a master class at the Qumra festival in Doha. I first got to know the Polish director Pawel Pawlikowski's work when I watched "Cold War" in 2018. I had missed "Ida," in the narrow window of time it had been screened in Istanbul. I had him down as an eastern European art house filmmaker, with his use of black and white, ellipses and atmospheric music. In preparation for his master class at the Qumra festival in Doha, I decided to do some homework and visited his IMDB page, and was rather surprised with what I found. It turns out Pawlikowski has a couple of decades under his belt as a filmmaker, and not in his native Poland, but in the U.K., where he made his home in the nineties and the noughties. His film credits include "My Summer of Love" (2004) in which he cast Emily Blunt as one of the leads in a role that seems to have led to her discovery by the film industry. Pawlikowski has also made a couple of sink estate documentaries and features including "Restraint of Beasts" starring the now household names like Ben Whishaw and Rhys Ifans. The film never got finished because Pawlikowski lost his wife in 2006, and then spent the next five years being a full-time dad. The director resurfaces in 2011, with Ethan Hawke and Kristin Scott Thomas in a thriller set in Paris, and then in 2013, "Ida" comes along. It is during the filming of "Ida" that Pawlikowski decides to settle in Poland, where he lives now. All this is good and well, but what strikes me in his filmography is a 1992 documentary called "Serbian Epics." I am naturally intrigued, and look for the trailer on the internet. I find a short clip (the whole film is also available) of a sequence shot in the hills of Sarajevo where Karadzic and his men are viewing the town below, with the war criminal sitting in what seems to be a funicular car (a remnant of the Sarajevo Winter Olympics perhaps?) speaking on a huge cell phone. It is 1992, the start of the war, and Karadzic is slowly transforming to the war criminal he will become. I can't properly handle seeing his face, so stop the film before the minute is up. I seek refuge in film reviews. Back in 1992, it was received, it seems, as a document of the banality of evil. I wonder if the film might have been brought in as evidence by the prosecutors at The Hague. The Qumra master class starts with a discussion of Pawlikowski's black and white successes. He has watched "Ida" with us the night before for the first time after its release, and he tells us he is shocked by how austere it is. "I think I was anti-cinema at the time," he says with his characteristic self-deprecating smile. To questions about how he prepares for filming, and how strict he is about the script, he answers that what he pays attention to are locations and faces. Casting, for him, is a crucial process. For "Ida," he says, they tried several actresses, but found Agata Trzebuchowska working at a cafe. "She didn't have a histrionic bone in her body," he says, which gives you an idea about how he pushes his actors to "act down" as much as possible. One of the things the reception of "Ida" has taught him is, he says, to trust the audience. To questions about how he gets the political tone just right in the films he answers that he never sets out to make political statements. Even "Cold War" which takes its name from a political period in European history, was not conceived as a political film. "It's about the games we play," he says. "I try to stay clear of sociology, and by not 'trying to give a message,' my films work better at reflecting a particular period." He says that his earlier work on documentaries helped him look at the world photographically, and also to get out of himself and look at other people. He says that for "Serbian Epics" he "conned" BBC Arts and Culture to provide the funding - he does have a degree in literature and an unfinished Ph.D. - to go make a film about the Serbian epic tradition. That is, on the surface, what "Serbian Epics" is about. His brief, then, turned into filming Serbian ballad reciters reciting epics about the Battle of Kosovo right on the front line, if shooting down at civilians from the hills can be called a "frontline" that is. When I get a chance to ask him my own questions, I ease my way in by asking about "Ida," and what it was about filming it that made him want to stay in Poland. He says while filming he stayed with a friend, very close to the house he grew up in, that there was a sense of familiarity that he enjoyed, more than he thought he might have, perhaps. He said he was also pleased with the response he got from the audience, that everyone engaging with the film on their own terms gave him a sense that he was making films for everyone and not just for the critics. Then I ask about how he got to make "Serbian Epics," how he got interested in the story, and how, above all else, he got access to Karadzic. "Have you seen the film?" he asks in return, clearly seasoned for this kind of questioning. "I didn't, it was too triggering for me," I say truthfully, "I can't watch Karadzic's face." "But it's not about Karadzic, that's only a small part of the film," he assures me. He tells me that when he put out the word that he was making a documentary about Serbian narrative traditions, the paramilitaries were fascinated, and he got to know a Shakespearean scholar, and that introduction then led to him meeting Karadzic, who fancied himself as a poet. "At one point he was reciting a poem about burning down Sarajevo to the ground as he was bombing the city," he says, still incredulous about the moment, about the whole gang of poetry reciters to be found with the soldiers, egging them on, as it were, by tales of how Serbs fought the Turks since time immemorial. Pawlikowski makes a distinction between the town and the country in Bosnia - a distinction he makes when depicting the U.K. and Poland as well - and suggests that the siege of Sarajevo had something to do with this town and country rift. "I've always been interested in the Balkans and always thought Sarajevo was a beautiful, cosmopolitan city. But that's where the famous cosmopolitanism of Bosnia ends. When you went up the hills, you saw that Bosnians, Serbs and Croats lived separately." I think he senses my dismay and continues with his well-rehearsed explanation: "There was even a question in the British Parliament about the documentary, whether I was providing a platform for a war criminal, but it was shown at the Sarajevo Film Festival during the siege and the Bosnians understood what I was trying to do." "You have to intuit the right form," he adds, when making a documentary, or indeed, telling a fictional tale. It seems like Pawlikowski does often come to his subjects obliquely, which yields revealing results. On the way out he asks me where I am from. "Istanbul," I tell him to which replies with an understanding "Ah!" "Yes, the Bosnian war is very present in the Turks' minds, considering that all those epics involve fighting the Turks in Kosovo," I tell him. He was there, he listened to lines about how Turks were implicated. It's a strange note to end a conversation on with the director of "Cold War," a beautiful and sad film about a couple who torture one another with half-truths and betrayals. At one point in the conversation, Pawlikowski has called his Polish films a way of tackling "unfinished business." Every narrator of stories has some of these, and it is the engagement with unfinished business that leads to masterpieces such as "Ida" and "Cold War." In my case, it looks like this engagement might have to be bracing myself and watching "Serbian Epics."